Since the early days of photographic image-making, the camera has been referred to as a “mirror with a memory,” reflecting what it sees and then recording decisive moments through the creation of images. Anthony Bila, a multi-talented visual artist based in Johannesburg, is thus a creator of memories. 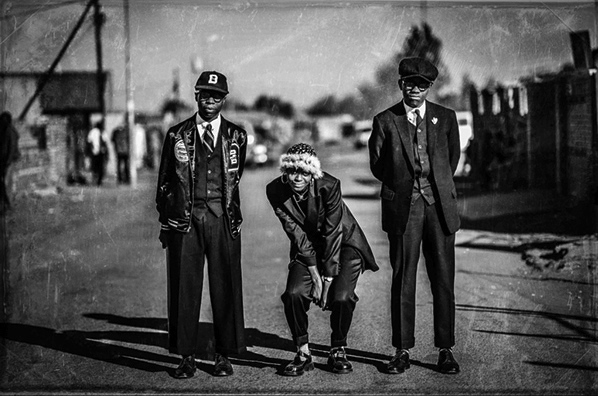 In his Black History March series Bila uses his camera to produce memory-infused images of young creatives wearing vintage attire in the streets of Soweto. The two volumes of the series thus far have featured the style collective Khumbula together with Loux the Vintage Guru and more recently, the stylist duo The Sartists paired with arguably Joburg’s most captivating creative muse, Manthe Ribane. 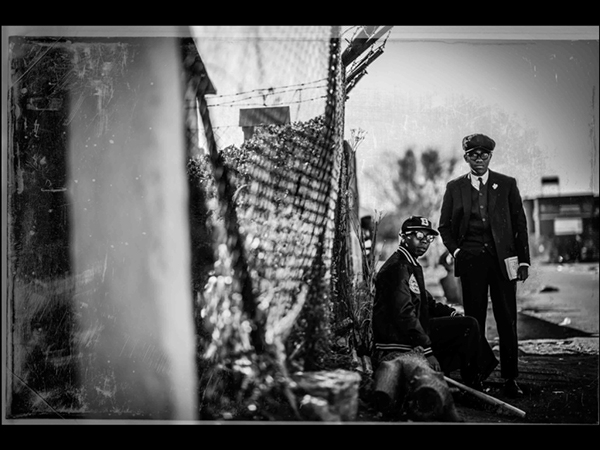 The vintage clothing and weathered aesthetic of the images offer windows into both South Africa’s past and present. Through these windows presented by Bila we see the desire of young South Africans to connect with their heritage while paying homage to people and spaces that had been previously underrepresented. 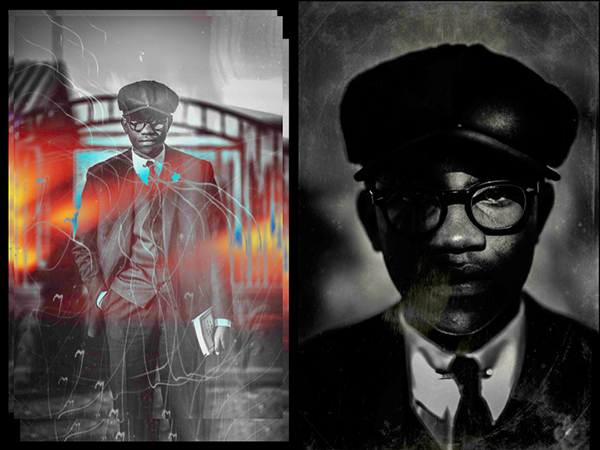 The images of the Black History March series offer a clear challenge to Eurocentric notions of history. In doing so, they act to reclaim a greater share of history for black South Africans, which like land, has been distributed disproportionately in favor of South Africans of European ancestry. In many of Bila’s images, the models look boldly at the camera. Their expressions are defiant, unapologetic and piercing, raising the crucial question asked in Santu Mofokeng’s powerful photobook The Black Photo Album – “Who is gazing?” Are we as viewers projecting our own perspectives onto the images or do Bila’s characters return their own set of demands in their eyes? Following the recent release of his second volume of the Black History March series on his popular blog The Expressionist, we spoke to Anthony Bila to hear his take on South African history, the memory of an image and the cultural significance of the street. AIAC: You just released your second Black History March collection, what is the concept behind the series? AB: The Black History March series is project close to my heart in that it was and is inspired by African history particularly and the absurdity that the history of Africa and its diaspora should be commemorated one month every year. Thus, the idea was for me to purposefully launch this project every year succeeding or preceding “Black History Month” in February. I wanted to dispel the notion that Black History needs a ‘special month’, the shortest month of all no less, dedicated to it as commemoration and remembrance of the incredibly vast history of Africa and it’s peoples. My thoughts about black history are that it should be remembered and recalled just as any other significant part of history is, at every given opportunity, at any point of the year, in fact it should be taught in the same vein European & American History is taught all around the world, all year round, always. The images in the series resemble family portraits, snapshots and magazine pictures from an older era. What led to this conversation with archival material? I wanted to reference a bygone time, not specific to a place and time necessarily, but to a feeling. We’re now more than ever bombarded with images of a “new black” and I wanted to remind many of my contemporaries of what has come before them. I plan to go deeper and further into Black History with the next installment and continue to surprise anyone I’m privileged to reach with my work. African History as vast as the ocean and what I’ve touched on is but a drop. Manthe Ribane and The Sartists (Wanda Lephoto and Kabelo Kungwane) appear as ghostly figures from the past in this new collection. 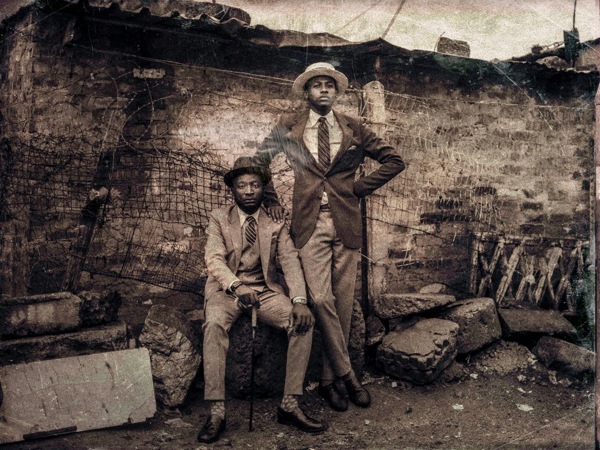 What does their disposition say about present-day South Africa’s relationship to its history? I think these three are among the most interesting young creative minds to emerge from South Africa in a while, and like myself, given an opportunity to showcase what we’re capable of with resources, there isn’t a thing we could not accomplish. To answer your question, I wanted their disposition to do two things; 1. I wanted the images to serve as a reminder to the youth of the continent and particularly South Africa that we have come a far way from 20 years ago, but the road to true freedom and liberation is still perilous and long. We have not reached the Promised Land just yet, but we can see it beyond the horizon and we must soldier on to reach it. 2. I wanted the second installment in the series to really stimulate a sense of curiosity in young South Africans to interrogate the history of South Africa and the continent to discover and understand simple truths about Africa as a whole that have literally been buried. For instance, did you know that in the 14th century the city of Timbuktu in West Africa was five times bigger than the city of London, and was the richest city in the world? This is essentially a collection of black and white images, though they have been weathered with the color of time through smudges, stains and scratches. So they are black and white, but they are not. Can you speak to that? The images are neither black nor white, but they are. The images like people carry with them memories good, bad and ugly. They have scars that have indelibly become part of their character. The images are also grey because often life is not as clear and dried as it initially seems. There are shades of grey to our history. Time leaves it’s mark on all of us, as individuals and more so as a people if you look at the history of the African continent and we need to more and more as time continues to unfold remember our roots, invest in our continent and tell the stories that the West refuses to. It’s imperative if Africa is to reclaim so semblance of its rich history that’s been suppressed for centuries. Black History March is set in Soweto, where the landscape has a vibrant character of its own. Do the spaces you operate in influence your work? The location of Soweto (if you’ll pardon the pun) was suggested by The Sartists as well as the enigmatic, abundantly talented, Manthe Ribane. I myself was born and raised in Tembisa township. The treatment of the images was to show how even with the passage of time, one can remain true to one’s roots and follow a route to self discovery by understand where you’ve come from. 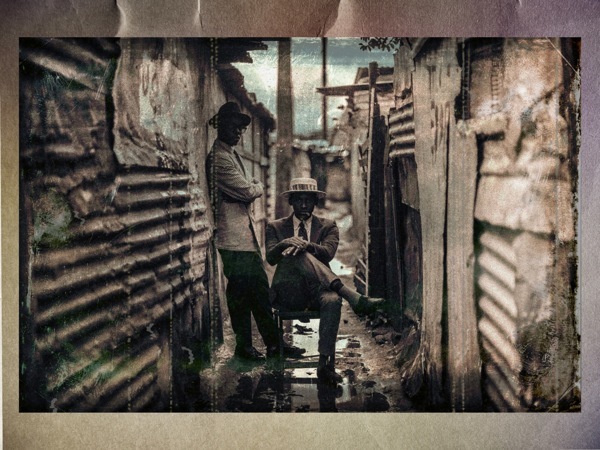 The space I operate in is largely influenced by the location and Soweto is one of the most historically rich areas in South Africa, it’s very existence is a testimony and indictment on a bygone regime that sought to thwart the vibrant space of Sophiatown. Yet the people of Soweto and other townships still thrive. Many of your images are made in the streets. What is special about the street as a locus of urban youth culture in South Africa? The streets are where authenticity is birthed, where inspiration, trends and creativity thrive under adverse conditions, as only the truest forms of self expression can. Revolutions are not born and bred in boardrooms or privileged suburbs or pseudo “city centres”, that’s where all those things I speak to go to die a ghastly death by culture vultures, those who appropriate youth culture for brands in a blatant and flagrant disregard for the essence and ethics of authenticity. I am currently venturing into studio photography, but street photography will still inform a large component of what I’m interested in capturing. If you really want to understand youth culture, visit any one of the many areas like Tembisa, Soweto and many, many more. Your images are often layered and hyper-saturated. Are these vivid photographic worlds a reflection of your personal sensory experience as well? They are, and as much as photography is often a verbatim reflection of the world we live in, I think that’s quite dull. I always want to capture a sensory experience with my photography, the one that I see in my mind’s eye. If you want reality, as it exists, then I’m more often than not the wrong artist to reference. I’m partially colour blind so I consciously compensate for that in the way I treat my images. Considering you have already created a substantial body of work and the March series deals with the passage of time. What do you envision as your creative legacy? I am only at the beginning. I plan to explore various other art forms in 2015. I am going to explore videography, scriptwriting, cinematography, fine art, illustration and music production to a deeper degree. I’m more or less better known for my photography and one thing that I despise is being boxed-in, stereotyped or categorised into being one thing. None of us are just one thing, so when someone refers to me as “just a photographer” or worse, “street style photographer”, I take exception to it. All I have ever wanted to do is create and the medium, style and form thereof will always change because I’m a creator. So in essence, my legacy, I hope one day is to be remembered as a modern day renaissance man or polymath of sorts. It’s ambitious, but it’s what I believe with every fibre of my being I’m meant to do and that is what I am working towards. I want the work I leave behind to inspire all kinds of people in all kinds of fields to exist and thrive outside of their comfort zones, to feel the fear and in spite of it to forge ahead. An upcoming project of yours The BLK SRS, weaves together your talent in various creative disciplines including photography, videography, painting writing and music. How do you find synergy between these different artistic elements? They’re often one in the same to me, it’s like asking me how do I find the energy to use all five (some say six) of my senses all at once. All I know is that I often feel impelled to create and the elements I use are as interchangeable as words are to a writer, I do it without thinking, and it’s instinctive. My ultimate dream is simply complicated; I want to produce a film in which I write, score, direct a story and exhibit the motion picture alongside paintings and illustrations. There is so much more I would also love to do but I feel that is my first point of call and from there, even the skies shouldn’t be a limit. My dream is for other African talents to be recognised and where opportunities are not present, we seize them.